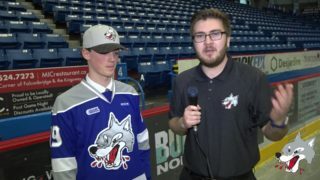 (Greater Sudbury, ON) The Sudbury Wolves are pleased to announce the addition of Mike Commito to the organization, in a newly created role, as Team Historian. Mike is a local hockey historian and writer. His work has appeared in leading publications including, Sportsnet, VICE Sports, The Athletic, and The Hockey News. In anticipation of the Wolves 50th Anniversary in the 2022 season, the organization has created a new role to help capture the stories and memories that shape the rich Wolves Hockey tradition. From players and coaches, to fans and billets families, there are amazing stories that weave throughout the decades and who better to capture those stories than the team’s very first Historian. The newly introduced Team Historian put some introductory thoughts together that capture the essence and excitement he has for the opportunity and challenge ahead. For as long as I can remember, I wanted to be on a hockey team. Growing up, I wasn’t the best skater, but I always loved playing hockey outside on backyard rinks until I could no longer feel my toes or when it became too dark to see the puck. Although I was involved in other sports as I developed, organized hockey eluded me. Instead, I watched the game from a distance, collecting hockey cards, soaking up its history, and trying to stay awake to catch Hockey Night in Canada broadcasts on Saturdays. While I found satisfaction in the other sports I participated in, every winter, when the outdoor rinks froze over, I was drawn in. The distant sound of steel blades biting into the ice and the ting of the puck ricocheting off the crossbar called me back to the game that mesmerized me as a child. When I got older, I became a student of hockey. Studying the history of the sport, I began connecting with the game in an entirely different way. By better understanding the sport that had captivated me as a youngster, I gained a new appreciation for the game. As my scholarly pursuit of hockey began to increasingly take over my life, it became important for me to find my game on the ice, too. In 2014, not long after I got married, shinny became a regular part of my life. Although I had always owned the basics such as skates, gloves, and a stick, I actually had to buy pants, shin pads, and socks for the first time. 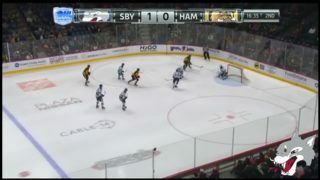 While it was a bit of an adjustment taking my raw skills from the rink to the arena, I was hooked immediately. As I skated down the ice in a jersey and full gear, I didn’t worry about being out of position or mishandling a pass. Rather, I focused on the fact that, after nearly three decades, I was really playing hockey. Four years later, I’m still playing with the same great group of guys, and although I look forward to our regular Friday matchups, I still don’t have a team. While I usually find myself playing with the same core group of players, I’m sometimes on the other bench sporting an unfamiliar colour and making passes to former adversaries. Although we coordinate our jerseys to demarcate our squads, we’re a ragtag collection of sweaters that includes everything from the Vancouver Millionaires to the Vegas Golden Knights. Today, for the first time in my life, I’m part of a real hockey team. 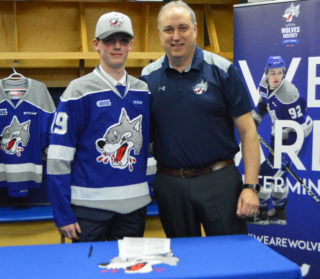 Although the Wolves, or any other OHL team for that matter, didn’t draft me 17 years ago, I’m thrilled to be joining the organization now as team historian. 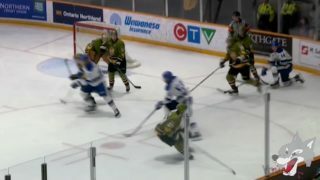 After writing about hockey history for publications such as Sportsnet, VICE Sports, and The Athletic, and even penning a book, Hockey 365: Daily Stories From the Ice, I’m excited to start telling more local hockey stories and bridging the gap between the Wolves’ storied past and its bright future. 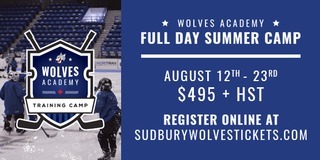 Having experienced the electricity in the Sudbury Community Arena firsthand during the Wolves’ historic playoff run in 2007, this opportunity is a dream come true. It’s very encouraging to be a part of an organization that’s focused on the future, but also be so committed to honouring its heritage and promoting its history. 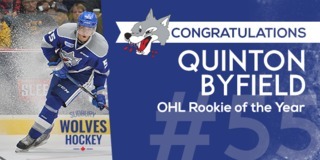 As the Wolves approach their 50th anniversary in the Ontario Hockey League in 2022, I look forward to embracing my role as the team’s historian and highlighting milestone moments from the past, while also pushing forward into a new era. I hope you’ll join me in celebrating the team’s history. I can’t wait to hear your stories about what the Wolves have meant to you over the years.